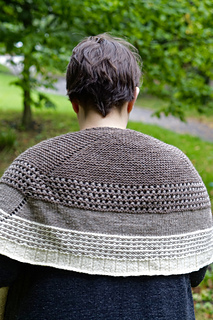 The DK weight yarn used makes a solid, substantial and cosy shawl. This shawl uses memorisable stitch patterns to blend colours and create a complex feel that is still easy to execute. On cold and dreary days, this warm, playful shawl is just the ticket.